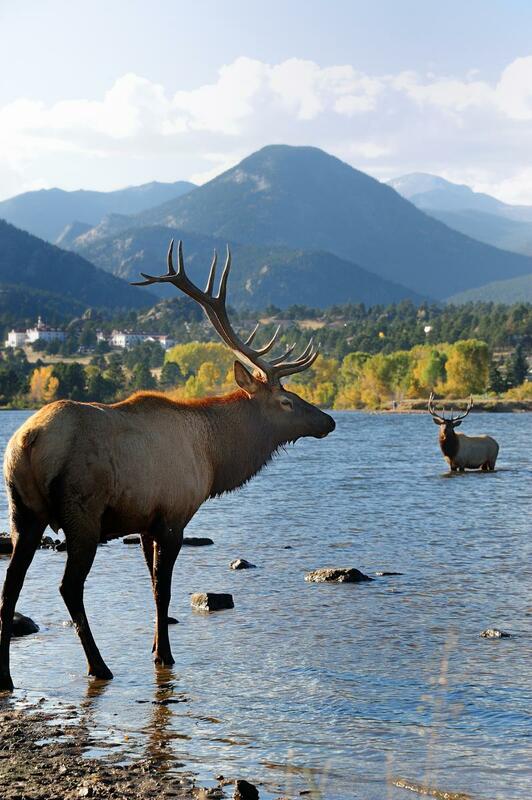 Elktober – Estes Park’s annual celebration of all things elk-related – is right around the corner. 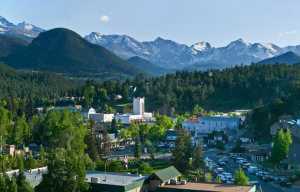 Centered on Elk Fest (Sept. 30-Oct. 1, 2017), visitors will be able to enjoy the sights and sounds of elk mating season, along with bugling competitions, the area’s finest food trucks, live music and much more. But before you come up for Elktober, we have to ask: how much do you really know about these magnificent mammals? Here are a few of the most fascinating – and occasionally weird – elk facts. AMAZING ANTLERS: An elk’s antlers – which only grow on bulls – don’t just look cool. They’re made of fast-growing bone. How fast? Well, they’ve been known to grow as much as one inch in one day. 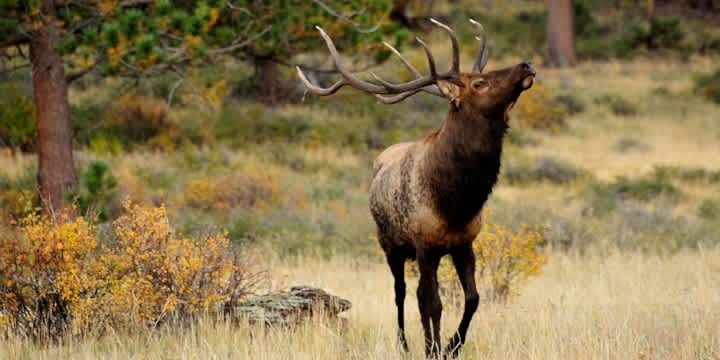 This rapid pace has led some scientists to suggest that studying elk’s antlers might give us some help in the fight against certain types of cancer in humans. The size of an elk’s antlers depends on the amount of sunlight the elk gets; sunlight causes a boost in testosterone levels, causing the antlers to grow. They can weigh as much as 40 pounds in a full grown male. 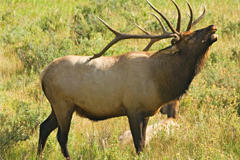 SOUNDING OFF: During Elktober, don’t miss the chance to hear the incredible, otherworldly sound of a bull elk bugling. But just how are they making that noise? 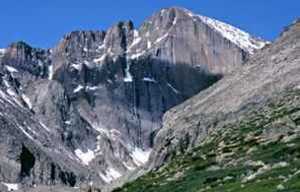 Until recently, scientists were stumped — the bugles reach pitches that are far too high to be produced by an elk’s voice box. It turns out there’s two forces at work. Use your binoculars to take a look at a bugling male – you’ll see that he is moving both his lips and his nostrils. That’s right: he’s roaring and whistling simultaneously. And voila, you’ve got the famous elk bugle. FANCY FOOTWORK: Because of its unique timber and volume (you can hear it from miles away), bugling is the best-known form of elk communication. But it’s only one of the ways that these animals engage with one another. Researchers have found that elks’ anklebones make distinct cracking or popping noises when they walk. We think elk use this sound (at least in part) to tell other elk that they’re approaching them from behind. 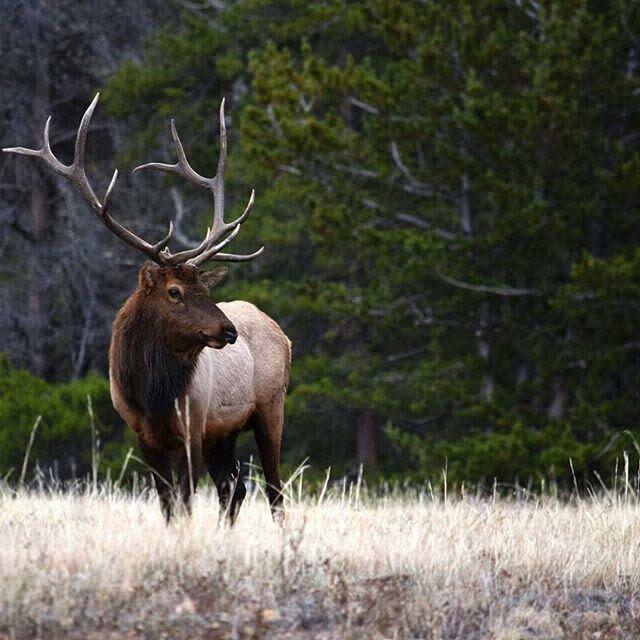 WAPITI: The Shawnee name for elk is wapiti, which means “white rump.” Elk are connected with love and music for many Native Americans, and a well-known tribe legend credits elk with the creation of the first flute: a boy is too shy to speak to the girl he has fallen in love with. But two elk-men visit him in a dream and give him a flute, which he masters, giving him the means to communicate his feelings to the girl through music. Thanks, wapiti! 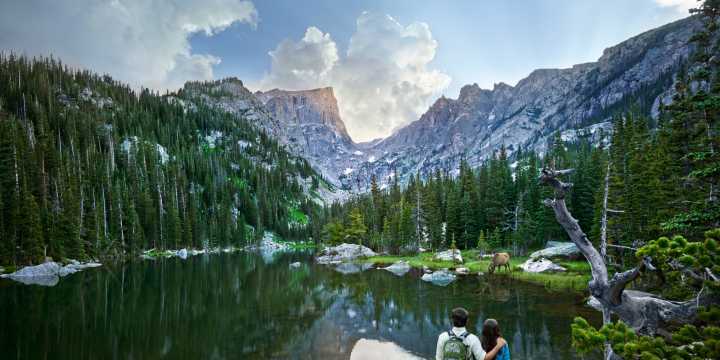 THERE’S THE RUB: Your chances are extremely good, but you might not always see elk when you explore Estes Park and Rocky Mountain National Park. But keep an eye out for a certain telltale sign on trees – “rubs” where a male elk has scratched the bark off, an activity that he hopes will impress a cow. Rubbing antlers against trees also polishes them, giving them a more eye-catching look. FATAL ATTRACTION: OK, this one is pretty weird, and definitely gross. You’ve been warned! “Fatal attraction” is a term given to a particularly strange mating technique that some bulls use to woo female elk. Basically, the bull digs a hole in the ground, fills it with his own urine … and bathes in it, in the hope that the scent will attract a mate. How romantic! HIGH SPEED: Weighing in at up to 700 pounds, the North American elk stands as one of the biggest deer species on earth. But don’t think that just because an elk is large that it’s slow. A mature bull can run as fast as 40 miles per hour – they’ve even been able to outrun horses in short races. And that’s not all. Elk can jump eight feet vertically. Use and follow the #EstesElkWatch hashtag on social media for photos and real-time updates. Dawn is usually the best time to see elk in Rocky Mountain National Park, since the park is less crowded then. Keep your distance – we recommend bringing a pair of binoculars if you want a closer look. How do you know if you’re too close? If an elk alters its behavior, such as stopping grazing or if it begins looking at you, you are too close. Do not imitate an elk bugle or call during the fall mating season, as it may irritate or threaten the bull, endangering you and him. During Elktober, don’t venture into RMNP’s meadows between 5 p.m. and 7 a.m.
Stay on roadways and designated trails. Never stop or block traffic. If you spot wildlife while driving, avoid stopping abruptly. Look for a place where you can slowly and fully pull off the road to park. Keep pets secured on a leash and do not allow them to bark at, lunge at, or chase elk. Do not feed the elk. Seeing the elk is just the beginning of the fun in Estes Park. The free Elk Fest features bugling contests, elk exhibits, the Rocky Mountain Raptor Program, elk seminars, elk-inspired arts and crafts, Native American music, dancing and storytelling, a children&apos;s’ area with elk-themed activities, and a craft beer garden. Learn more and start planning.